You are here: Home » Green Energy » How Much Do Solar Panels Cost? Would you love to add solar panels to your home, but think that the cost would be prohibitive? There are a lot of questions about the bottom line of solar panel cost. Most people just want to know the price of the panels, when this isn’t an accurate way to figure out what it will cost you to set your home up on a solar panel system. Before you do anything, look for your state’s energy office. Each state has one – some might go by different names, like the “conservation” office. Once you find it, search their site for renewable energy links. Use those links to see if your state offers any rebates or credits for outfitting your home with solar panels. If so, you can figure in that financial break as part of the savings for going green. When adding up the costs involved with having a more economic way of getting electricity, don’t look so hard at the forest that you miss the trees. Because it’s what you overlook that can be where the real savings lie. Let’s say you’ve decided to use a grid-tied system and it’s going to cost you $1,000 to set up a small solar system. On your state’s energy site, you see that they’re offering a $300 rebate and a tax credit worth $75. Your system’s purchase price is now only $625. You look at your electric bills and see that your costs vary between $250 and $325, depending on the season. Of course, it depends on what part of the country you live in, and how your seasons run. But for this example, once you have your system set up, your bill drops to an average of $75. You’re saving between $175 to $250 every month. Within a few months that $1,000 system is paid for just by rebates and energy savings alone. 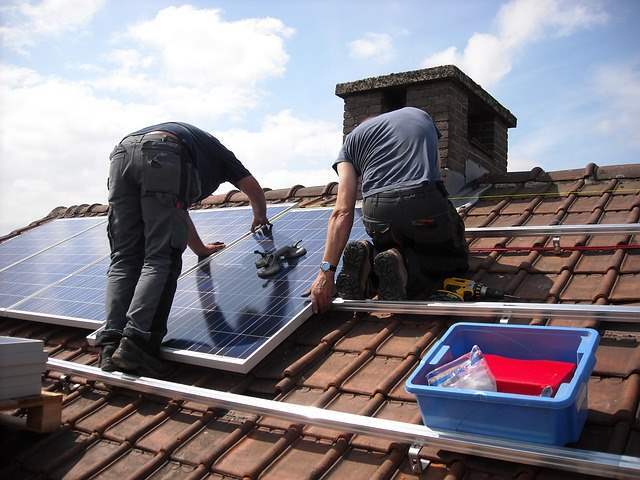 Many utility companies also offer savings for people who want to set up their home with solar panels. When it’s time to file your taxes, you might just discover that you get more savings from the federal government, too. But before you decide which panels you want to buy, figure out how many kilowatt hours of electricity your home uses, and buy your system based on whether you want solar energy to cover all of your home electric output, or only some of it. Take into consideration, too, the location of your home and the amount of daylight hours you get. Some solar systems can be expensive, but keep in mind that when you buy your system, the cost of living is going to continue to rise. Electricity rates will rise, but with a solar system in place that takes care of all of your electric demands, you won’t have to be concerned with those rising costs. What you pay for up front will last you many years. What Is a Solar Panel and Why Would I Want One?